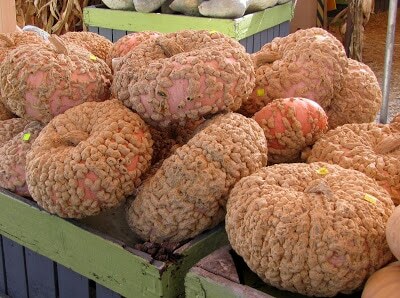 I went to the local farmer’s market and ran across these strange pumpkins. 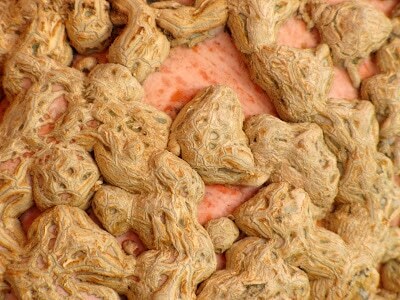 and look they have peanut shells on them. Lots and lots of peanut shells. 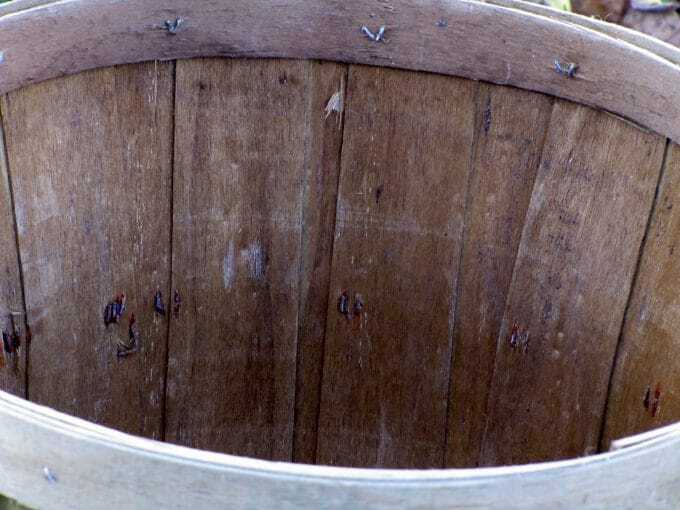 Their real name is Brodé Galeux D’Eysines and they are supposed to be excellent for pie making. 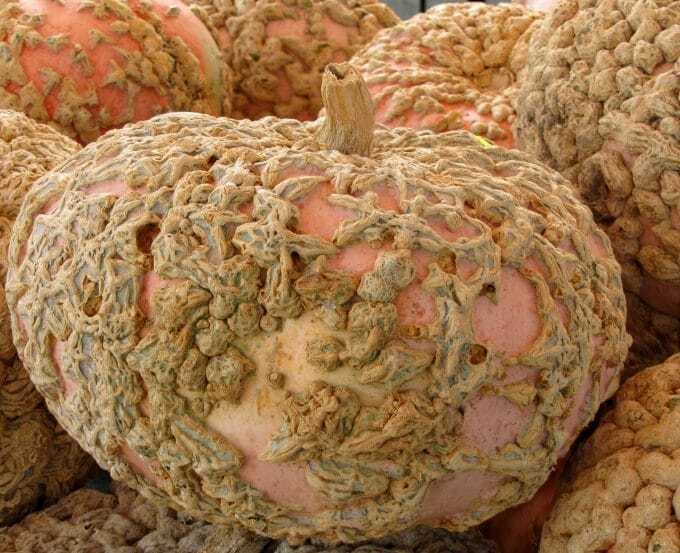 I don’t know if I could get past the warts growing on the outside to find out if it tastes good though. 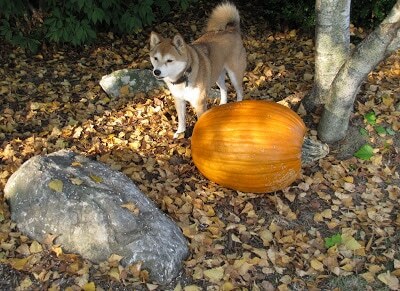 Sheba prefers the typical orange pumpkins I think. 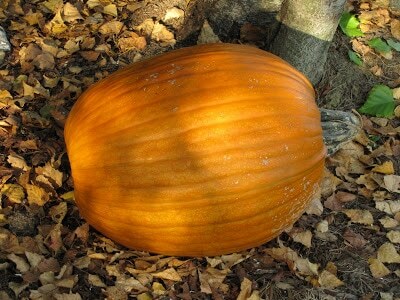 I put this one out by the garage so Sheba can check it out whenever she wants. 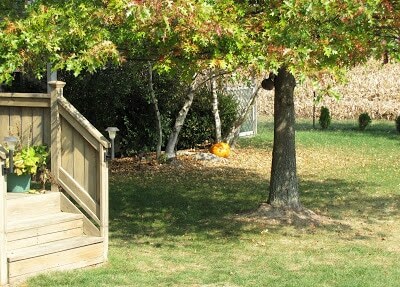 A dog’s gotta have their own pumpkin, right? 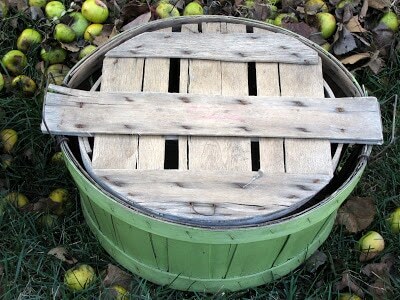 Besides pumpkins, apples and mums, the market also had these old vegetable baskets for sale. but a few had been painted. And since green is my new favorite color I had to buy this one. For $1.00 you got a basket with a lid! What a deal. These normally go for close to $10.00 per basket in these parts. They are nice and ever so chippy looking. 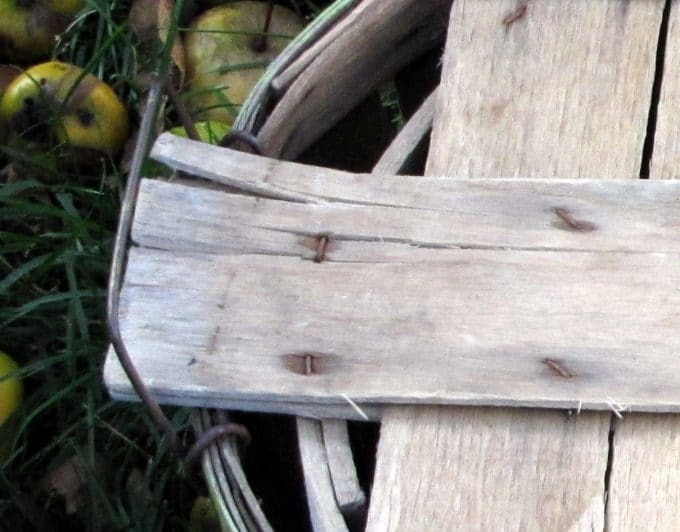 Note to self – chippy means splinters, so be careful next time when you are grabbing these things. here in NY. I want one in every style! Wow! I’ve never seen pumpkins like that before! 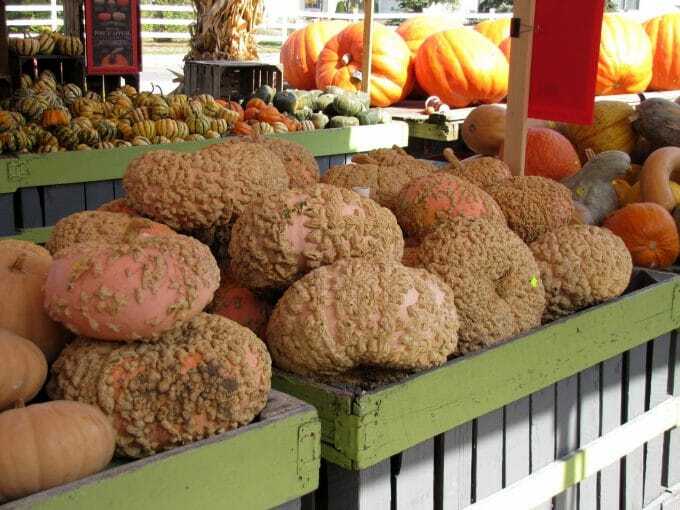 Those pumpkins are cool and nutty! Wish I could find a bargain like those baskets! I can think of so many uses for one of those! Not too sure about those pumpkins???? one. What are you going to do with your baskets? Those pumpkins are freaky! I’ve never seen those before. Were people actually buying those things? 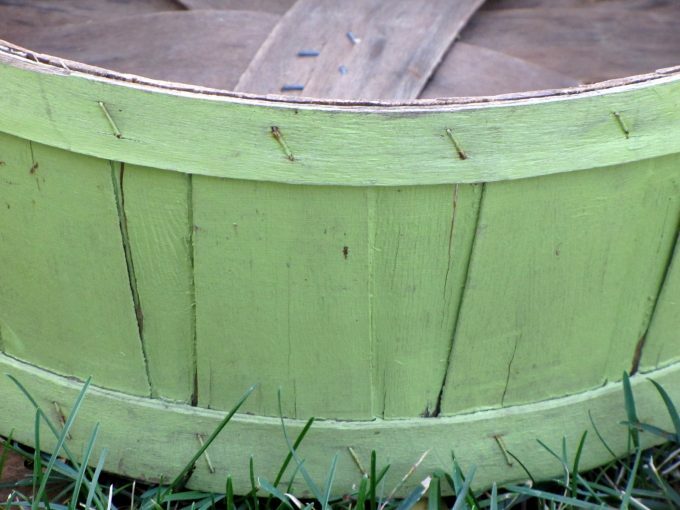 Very, very adorable green basket though! Cozy – yes, people are buying them. When I was taking the photos the owner came over and told me that this is their first year for selling them and that they have sold quite a few. Hi, Pam! Just wanted to say I learned something new from you! 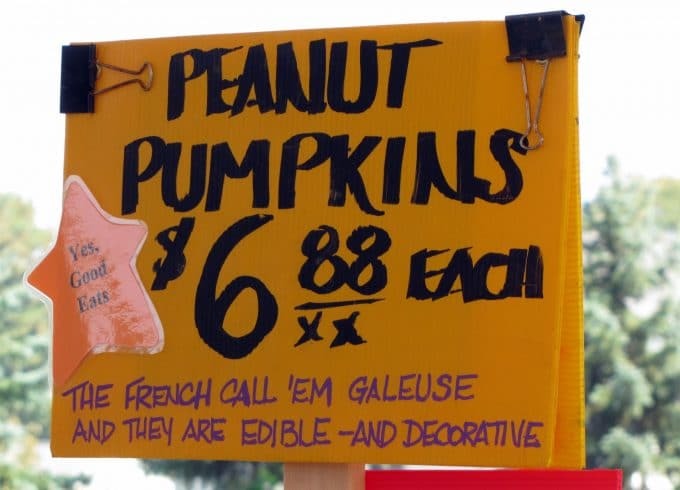 I never knew the real name for peanut pumpkins! 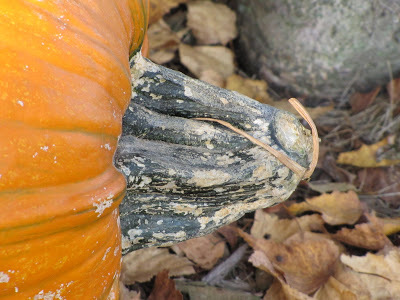 (Did you see my post about pumpkins called “Fairytales…”) Thanks for the info! Been looking around a bit and I love B&W floors, too and your chicken in a basket is TOO CUTE! 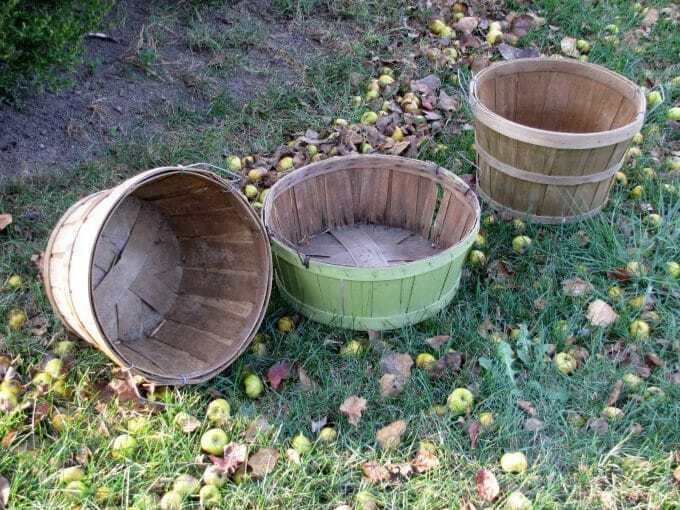 Here from Cozy Little House… I want one of those baskets but can’t find any grocer willing to sell me one!! Love the chicken the basket… why am I singing “a tisket a tasket…chicken in a basket”…!! I was told you can make a delicious soup with them, I have a fresh peanut pumpkin and no recipe, and I do not have a clue where to begin! If anyone has ever used one for cooking I could use some directions, Please! Never seen or heard of a peanut pumpkin! Ugly yes, but.. beauty is only skin deep!